I’ve been visiting Hawaii since I was child, starting in the 1970s. I have many wonderful memories of Oahu in particular, many of which would never make it into any guidebook because they’re quite personal and meaningful only to me. I still smile when I think about the cute pedicab driver I had a teenage crush on in Waikiki, and about how I finally mustered up the courage to ask for a ride around the block. It was quite a thrill. Now that I’m all grown up and a mom of two, I love to visit Oahu with kids. Much has changed on Hawaii’s most popular island of Oahu over the decades, but it remains an incredible family holiday destination with a nearly endless variety of attractions to enjoy. I’m pleased to share some of the special places my family has enjoyed over the years. The military history of Hawaii is surprising and fascinating, going all the way back to King Kamehaha days. 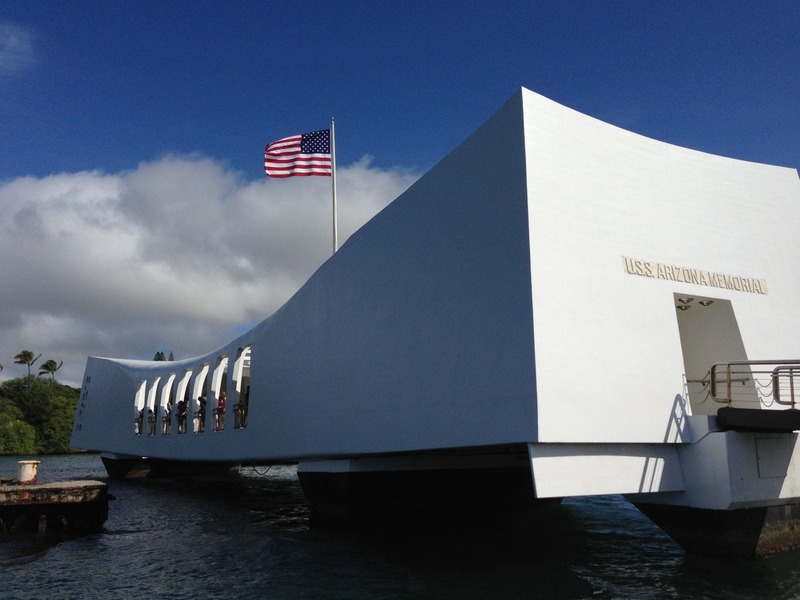 Pearl Harbor and the USS Arizona Memorial are among the most visited tourist destinations in Honolulu, and well worth it. They form the World War II Valor in the Pacific National Monument. Take kids here to learn about the Japanese attack on Pearl Harbor in 1941, and the subsequent entrance of the United States into World War II. The Pearl Harbor Visitors Center offers exhibit galleries provide a highly detailed account of the actual Pearl Harbor attack. There is also a self-guided torpedo display, and a very poignant submarine memorial garden that sheds light on the circumstances of all the submarines that were lost during the Pacific War. In the Memorial Theatre, visitors view a 23-minute documentary on the attack. Then you can board the boat to visit the USS Arizona Memorial. The memorial site is a moving and contemplative place. You can still see the oil that has been slowly seeping from the sunken battleship for the past 70 years. Tickets to Pearl Harbor are reservable online (with a nominal service fee), and free to the public. If you don’t reserve entrance tickets ahead of time, you must get to Pearl Harbor by 7 am to join the queue to obtain your entrance passes. On the day we visited, all of the day’s tickets were gone by 8 am. If you’re in a bind, you can purchase Pearl Harbor passes through Viator. For more in-depth information, book a tour of Pearl Harbor. Within walking distance of Waikiki, the beach at Fort DeRussy is large and not quite as densely packed as Waikiki. It’s a great beach on Oahu with kids. And, when it’s too hot, you can simply pop into the nearby U.S. Army Museum of Hawaii. Entrance to the U.S. Army Museum of Hawaii is by donation. This hidden gem details the history of Hawaiian pre-colonial warfare through the Vietnam War. On our most recent visit, we spent nearly two hours wandering through the exhibits, which are housed in the former Fort DeRussy complex. If you or your children are interested in anything to do with weaponry, tanks, or military history, you’ll love this museum. Kids who love animals will adore the Honolulu Zoo. It’s easy to spend hours wandering the extensive, beautifully landscaped zoo grounds. You can listen to the birds while watching the feeding of the giraffes or the playful elephants’ bath-time. The facility welcomes families to bring their own snacks, drinks and even picnics to enjoy at the zoo. Just don’t feed the animals! 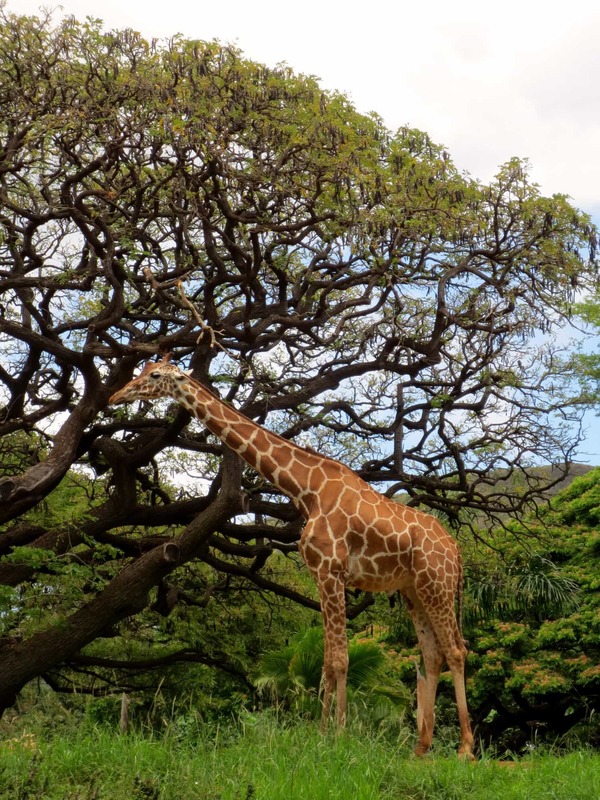 The Zoo is located between Waikiki and Diamond Head, just on the edge of Kapi’olani Park. Diamond Head is a volcanic tuff cone that has become a symbol of Oahu. 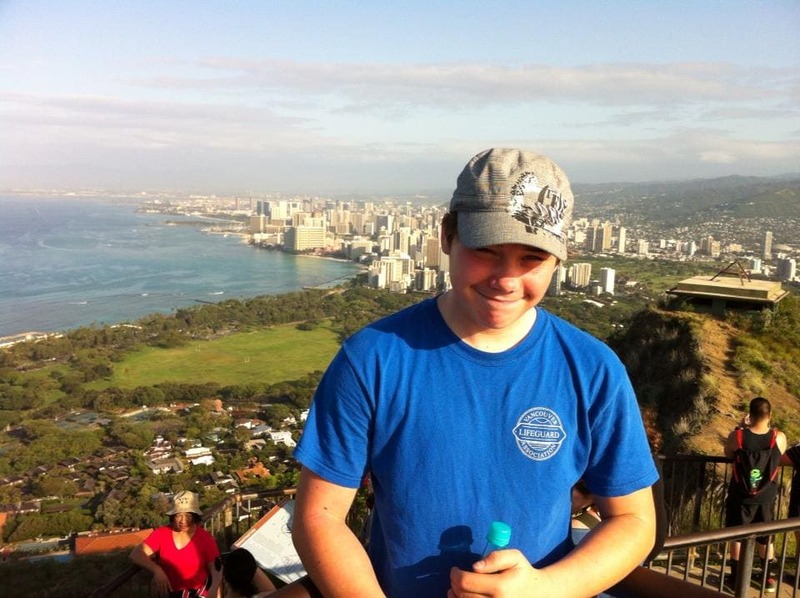 For a memorable family experience, hike Diamond Head together. It’s really not a strenuous hike, provided you are healthy and mobile. The views of Honolulu and the Pacific from the top of the 350-acre crater are stunning and worth the effort up that last set of stairs. Leave early in the morning to avoid the worst of the day’s heat. Be sure to bring water and a bit of cash for nominal entrance and parking fees. Get your fins on and the waterproof camera ready before you snorkel Hanauma Bay. Located 10 miles east of Waikiki, arrive early to explore this protected marine habitat. You will see turtles, live coral, and beautiful tropical fish while floating in the warm ocean water. The state of Hawaii has worked very hard to restore and protect the bay and its eco-system from many years of over-use. Respect nature and tread lightly in this pristine environment on Oahu with kids. 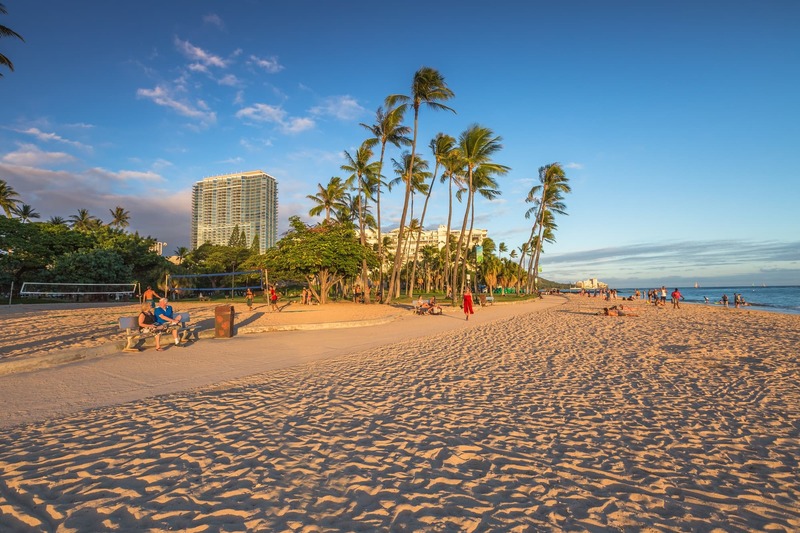 Heading away from Waikiki Beach and Honolulu, the North Shore of Oahu offers many attractions worthy of exploration. The Polynesian Cultural Center is an excellent open air facility that showcases the distinctive cultures of the South Pacific, its history, and life as it was on the Hawaiian Islands before it was colonized by the U.S. Sure, it’s touristy, but it provides insight to the state’s fascinating history and culture. If you’re feeling adventurous, I encourage you to taste the poi. Get your “complete pineapple experience” at the Dole Plantation. Pineapples and Hawaii are pretty synonymous in my book. Kids will enjoy learning how pineapples are grown and wandering through the world’s largest maze here. (Don’t get lost!) Take the Pineapple Express for a 20-minute guided tour of the plantation grounds. 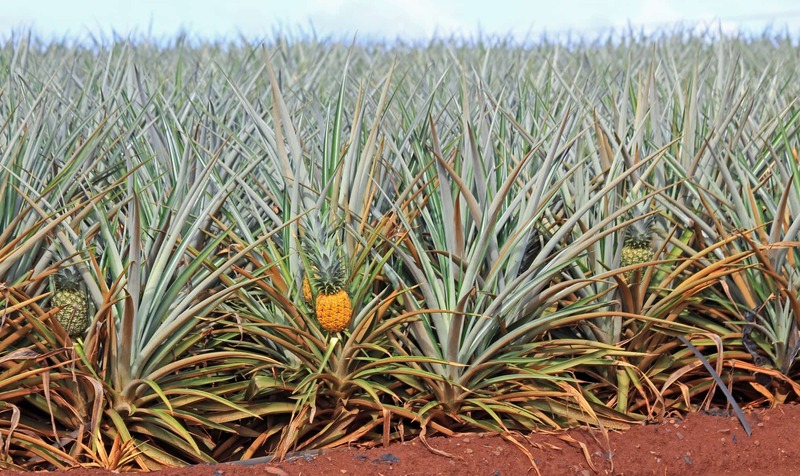 A visit here provides an intriguing look into the pineapple industry and how it shaped (and continues to shape) Oahu and the other Hawaiian islands. Bonus: the pineapple samples are super sweet and tasty. Top off your visit with a Dole Whip! Of course, during your visit to Oahu with kids, you must spend time at the beach. 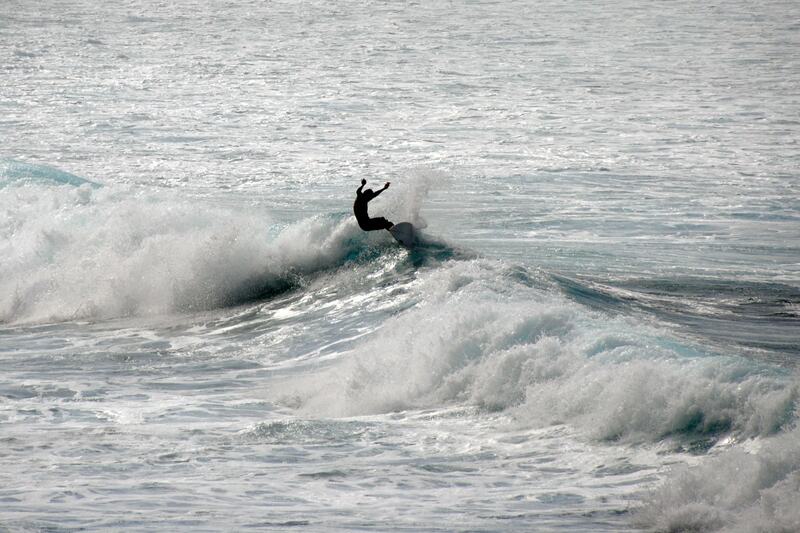 Waimea Bay is a fabulous, epic North Shore beach park. It boasts serious surf action, park amenities like showers and washrooms, and a great picnic area for families. Winter is Big Wave watching time, so keep the little ones close to shore and admire the huge waves from afar. The shore breaks can be pretty harsh for adults as well. Any north shore beaches will please those seeking bigger waves than the ones found at Waikiki Beach. Unfortunately, due to erosion and sand infill, Waikiki’s surf has suffered greatly, and the ocean there is more like a placid lake. My family was delighted to discover the Byodo-In Temple. 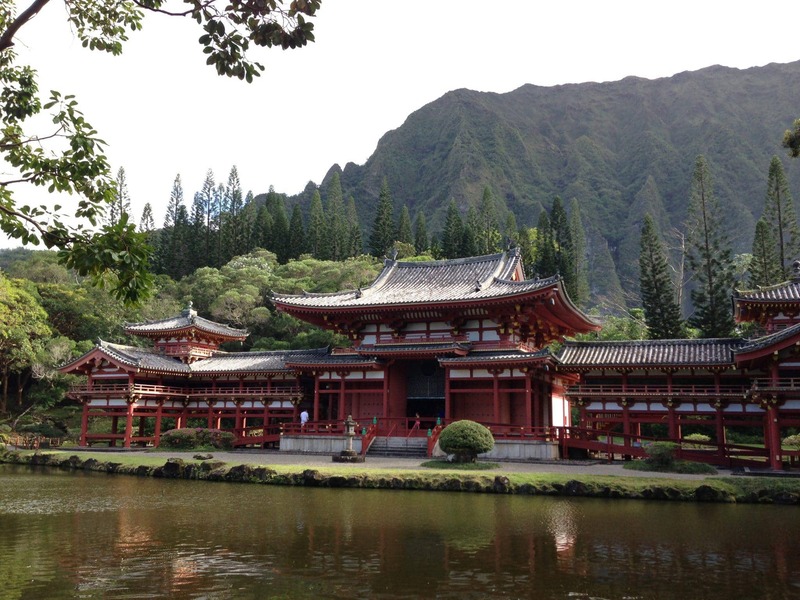 It’s located in the stunning Valley of the Temples in Kahalu’u, the windward side of Oahu. This non-practicing Buddhist temple is a smaller replica of a 950-year-old temple in Japan. Just thirteen miles from the Honolulu airport, you can reach the temple easily by car. This is a quiet place of meditation and reflection. Kids can ring the sacred bell, the Bon-Sho (just once please), before entering the temple. Free fireworks are always impressive, especially when viewed from the beach. 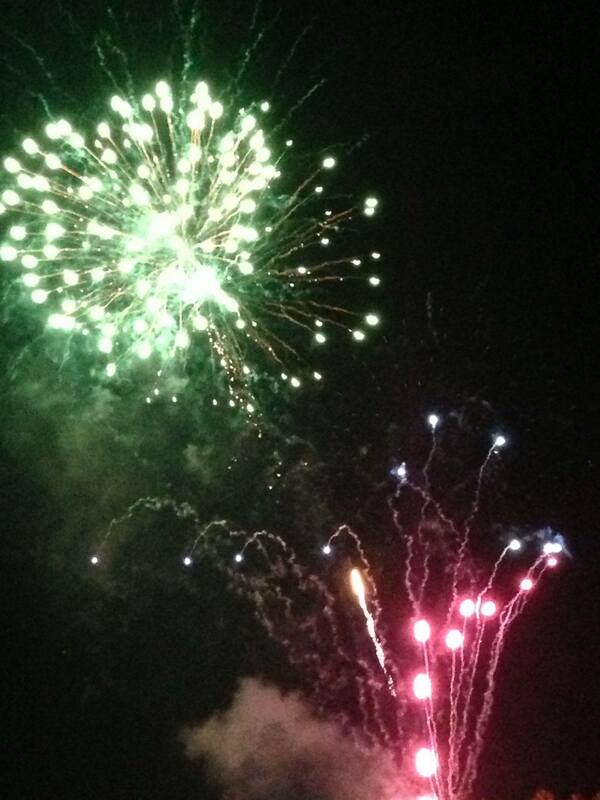 Every Friday night, Hilton Hawaiian Village sets off a fireworks show that is easily viewed from Fort DeRussy Beach. Prior to the fireworks display, the hotel hosts a Rockin’ Hawaiian Rainbow Revue with music, torch lighting, hula dancing and a Mai Tai. Non-guests pay a fee to attend. It’s a lovely way to end an evening in beautiful Oahu with kids. Read more about Hilton Hawaiian Village on TripAdvisor. Planning a trip to Hawaii? Lucky you! For a glorious blend of Disney plus Hawaii, check out our review of Disney’s Aulani Resort on Oahu. If hotel pools are your thing, you’ll love this round-up of the best hotel pools in Hawaii. 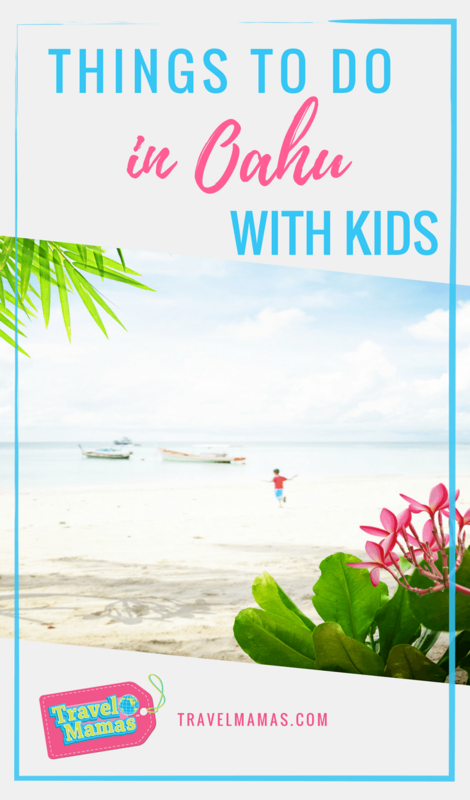 Have you ever visited Oahu with kids? Do you have any tips or questions about this Hawaiian island? Let us know in the comments below! Top photo by kritchanut, Depositphotos.com. Beautiful photos! One of the two states I haven’t been to. I think I’ll try to get to Hawaii before North Dakota 🙂 That temple looks incredible! Thanks Laurel. The temple is worth the trip – so serenely beautiful. Excellent tips, thank you. My family are heading there from New Zealand in October and your straightforward advice is much appreciated. Thanks for your comment, Mary. Happy travels! I love visiting the Ko’Olina Lagoons. It is only 10 minutes from my house. Super child friendly and the waters there are so calm. Next to the Disney Aulani hotel. Also we love visiting Bellows Beach, it is open to the general public on the weekends. Great tips, Dina. Thanks for your comment! You can add the aquarium on your list as well!! Thanks for the the suggestion. Nice list for my children. 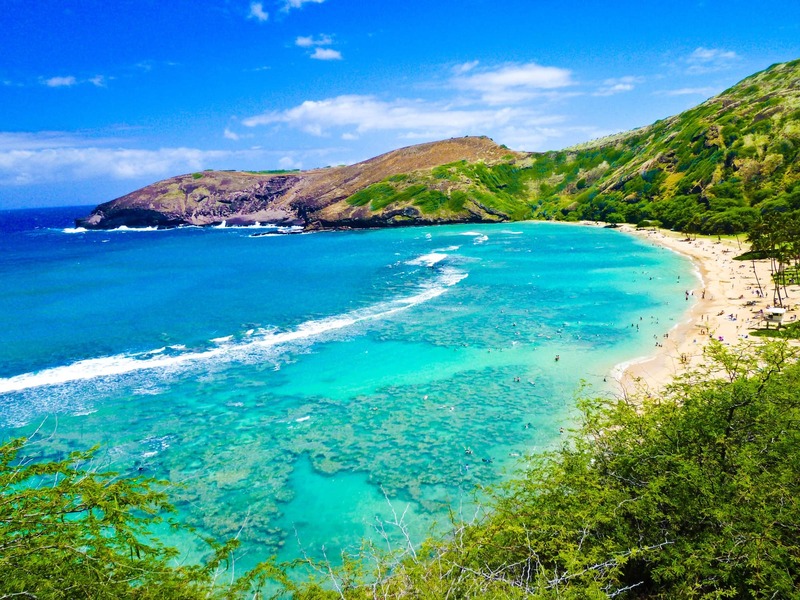 Oahu seems like a perfect summer destination and your pictures left me speechless, Claudia. I would love to visit the Polynesian Cultural Center when being there! Hi! Thanks for this post. We are heading to Hawaii in June with a 6 and almost 3 year old. I can’t wait! It looks so beautiful. The kids will be snorkelling for the first time. I am not sure how they will go. Should we take ‘reef’/”river’ type shoes to walk into the water? Thanks! Hi Amber – It depends on where you snorkel. Most beaches in Hawaii are soft sand, making water shoes unnecessary. If you will be snorkeling somewhere very rocky, you could benefit from these shoes. Renting flippers might be more fun, though, so your family can easily swim around and see all of the fish and sea life. Enjoy Hawaii! My husband and I will be taking our almost-3yo and 4 1/2 yo to Oahu in October. We are curious if the Polynesian Cultural Center and Pearl Harbor tours would be too much for the littles to enjoy? Are they worth the time and/or money with little ones that young? 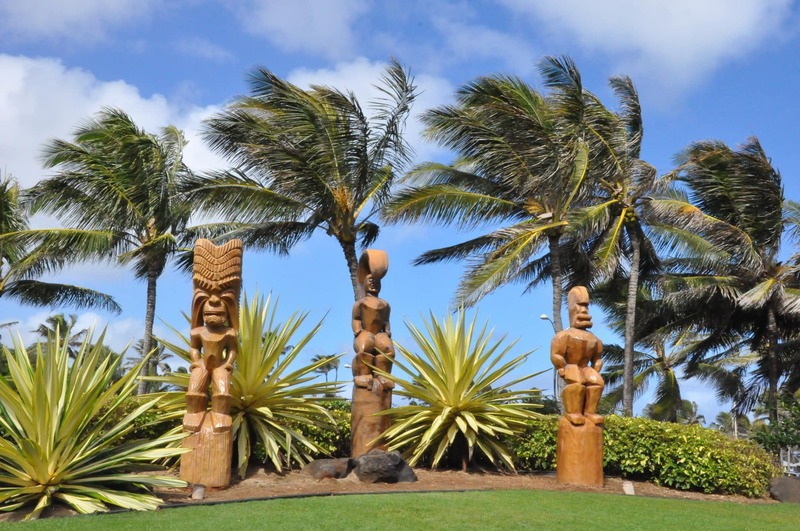 Nicole – Rather than booking a guided tour of these attractions, I would recommend renting a car and visiting the Polynesian Cultural Center and Pearl Harbor on your own. That way, you can stick to your own schedule, go at your own pace, and leave whenever you please. Your young children may not get a lot out of visiting Pearl Harbor, but you and your husband will! The whole family will love the Polynesian Cultural Center, though!